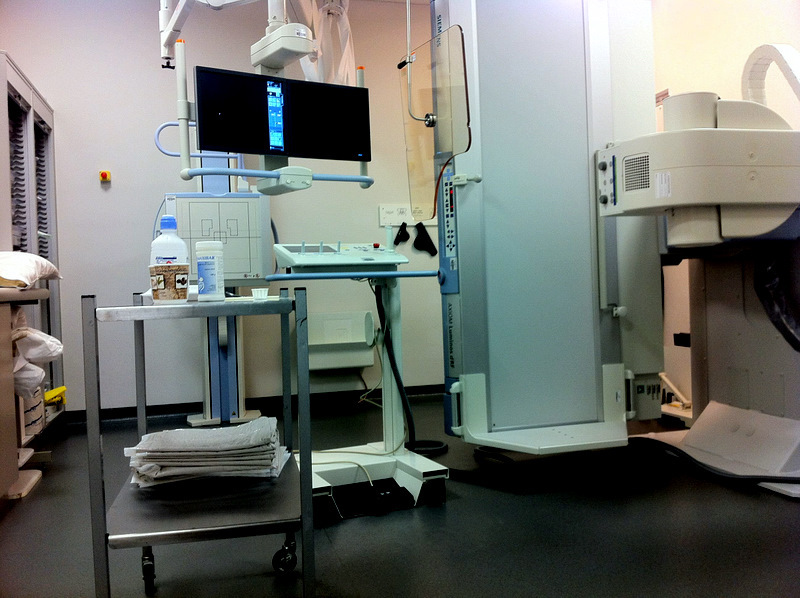 This is a medical imaging procedure used to examine the upper GI (gastrointestinal) tract. Standing up on the machine I was given some crystals to produce gas in the stomach and was then handed a compound to drink (not the nicest thing I have ever tasted). As I drank a radiographer tracked it’s passage down my throat. It was an amazing thing to watch, especially when the whole machine swiveled around so that I went from a standing position to lying down.